Sometimes I'm dumb. 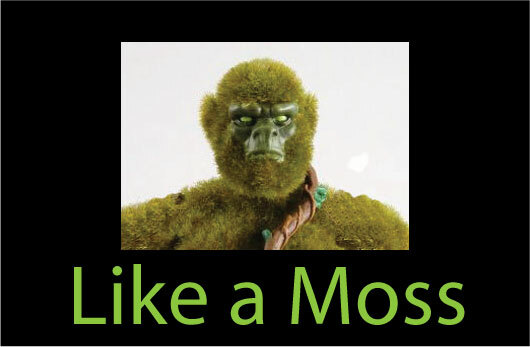 My best friend (http://nicholasstraight.blogspot.com/) is quite fond of Moss Man and another fellow posted something about him on Facebook. Well, this is the first thing that came to mind. Ok, pretty close. The first thing was a Moss Man in the iconic Muhammad Ali pose, above a fallen Beast Man with the same caption. This is all I could manage in a short time. Maybe I'll do an airbrush of it another time.